Bernie Sanders would inject liberal passion into a primary. 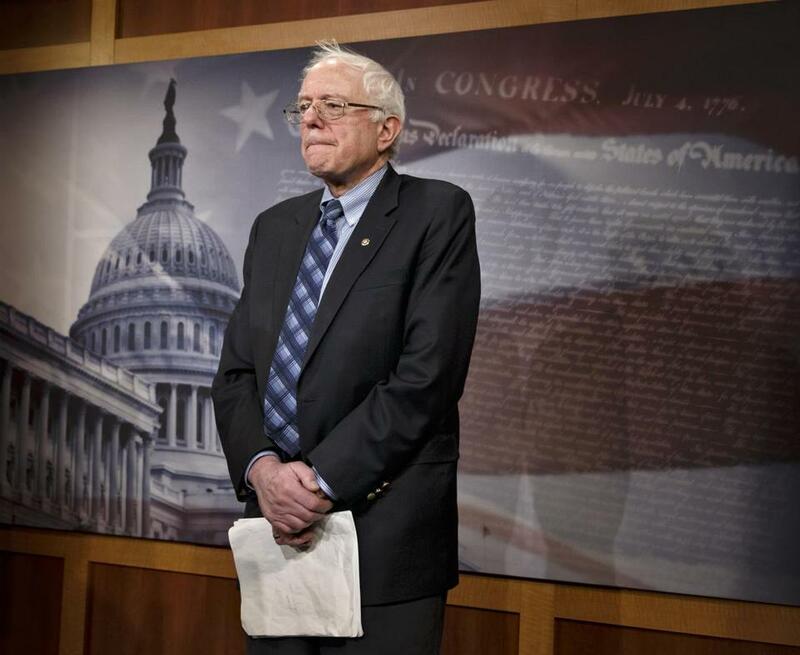 WASHINGTON — Bernie Sanders has been calling activists and traveling the country with a question: Could he vault from his US Senate seat representing what is fondly called the People’s Republic of Vermont to the White House? The lawmaker, who is possibly the most liberal of all members of Congress — and the only one to call himself a democratic socialist — said in an interview this week that he is sincere in his quest to pull the presidential campaign dialogue hard to the left. He said he will make a decision about getting into the 2016 presidential contest by January. His chances of winning the nomination would be rated as slim, at best, if he got in. But Sanders undoubtedly would inject liberal passion into a Democratic primary. He also could challenge Senator Elizabeth Warren, a Massachusetts Democrat, for unofficial leadership of the nation’s progressives. The 72-year-old former mayor of Burlington said he sees a yearning, even among Tea Party Republicans, for a candidate who recognizes that working people’s standard of living is declining under the grip of monied elites. At the least, the blunt-spoken Brooklyn native, known for his wispy gray hair fluttering above his head and his rumpled suits, could add some excitement and unpredictability to the Democratic primaries. Some on the left are hoping a liberal will enter the party nominating race to ensure that Hillary Rodham Clinton, the presumed Democratic frontrunner if she runs, will adopt a more populist tone and talk about the growing disparities between the middle class and the wealthiest 1 percent. Most of the speculation about a primary challenger from the left has centered on Warren. But Warren has said she is not going to run. Sanders said he is not factoring in any of those calculations. “Nothing to do with Elizabeth. Nothing to do with Hillary,” he said of his deliberations. For activists on the left, income inequality could be as important in 2016 as the debate over the Iraq War was in the 2004 and 2008 Democratic primaries. Sanders has long campaigned as a populist. He said he is more concerned than ever about income gaps, climate change, and the unfettered power of Wall Street to influence elections following Supreme Court rulings that have stricken down all but a few limits on political donations. This year he has traveled to town halls full of activists, union meetings, and college campuses in Mississippi, Alabama, Georgia, and South Carolina campaigning for liberal candidates and causes. In addition to speaking this weekend at St. Anselm College in Manchester, a popular stop on the presidential campaign circuit, he plans to visit Minnesota, South Carolina, and Northhampton, Mass., in the coming weeks. Few count Sanders as a threat to win; a former Sanders campaign adviser laughed when asked if Sanders would be the next president. But Sanders said no one should wake up in the morning thinking he should be president. Sanders said he has differences with Democrats, but is working to help the party retain its majority in the Senate this year. Sanders also did not rule out running as an independent, although he pledged he would not play the spoiler in the 2016 election if the election were close. Many Democrats still fume at consumer activist Ralph Nader, whose 3 percent support in the 2000 election may have helped George W. Bush defeat Al Gore. Many Democrats are hoping to consolidate support for Clinton without a protracted primary. But other names have been floated, including Vice President Joe Biden, Governor Martin O’Malley of Maryland, former Montana governor Brian Schweitzer, and Governor Andrew M. Cuomo of New York. Republicans are hardly worried about a Sanders wave. “The fact of Bernie Sanders entering the race is not a big to-do in and of itself, but I think it shows people are not ready to get behind a Hillary Clinton or a Joe Biden,” said Ryan Mahoney, a spokesman for the Republican National Committee. Many activists say the liberal wing of the party remains open to Clinton, but not committed. “The Clinton era saw the rise of the corporate Democrat. You saw a lot of people in big business, all the sudden, getting in on the Democratic side,” said Jim Dean, chairman of Democracy for America, the political action committee founded by his brother, Howard Dean, another former politician from Vermont who ran for president. Many in Clinton’s large network of supporters say that she has long championed middle class concerns and that a raucous primary could squander a key Democratic advantage over Republicans, who continue to fight over their party’s direction. Regardless of whether Sanders seeks attention on a larger stage, he is unlikely to change his style. When asked during an interview whether he planned to get a fashion makeover, Sanders looked and sounded befuddled, noting that he was wearing one of his best suits, dark pinstripes, even as he slumped in his chair. Then his tone rose a bit pridefully as he pointed out that he had been named worst-dressed senator by Washingtonian Magazine. “I think more than one year in a row,” an aide interrupted. It was at least three times.